There are more than 80 miles of the Mckenzie River that are navigable by drift boat and offer great and varied flyfishing opportunities. 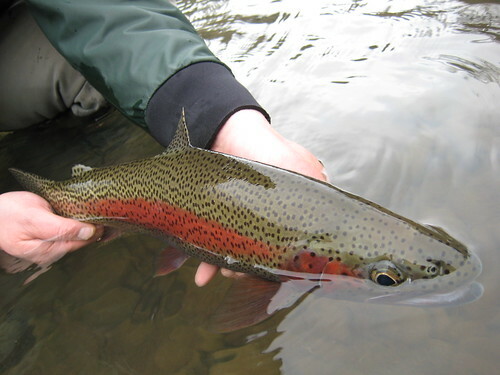 The river is home to healthy populations of rainbow trout, cutthroats, and summer steelhead. Each stretch has its own charms and fishes well given the right conditions. 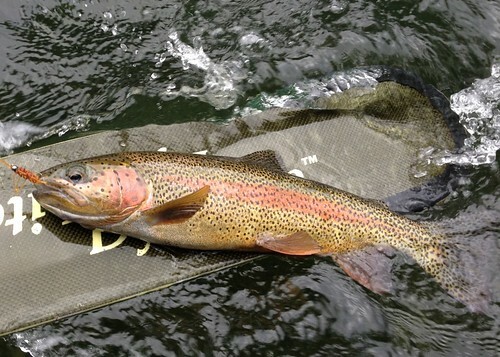 On average, the lower river will start to fish well for rainbows and cutthroats early in the spring (late February), and typically will continue to fish well until the end of May. As the weather warms and the water drops, we move upstream and spend the majority of our time on the upper river throughout the summer and fall months. When the water temperature starts to cool again in the fall, the fishing will often be good along the river’s entire length. The upper reaches descend quickly through a mossy forest of mature cedars, firs, and hemlocks. its fast-water pockets and emerald green pools are home to some beautiful wild rainbows. As the McKenzie follows its course toward the valley, it gradually drops into longer pools, riffles, and gentler glides. The river grows even more placid as it approaches Springfield, OR, where it becomes a valley river characterized by gravel bars and braided channels with dense growth of willows, alders and cottonwoods along its banks. 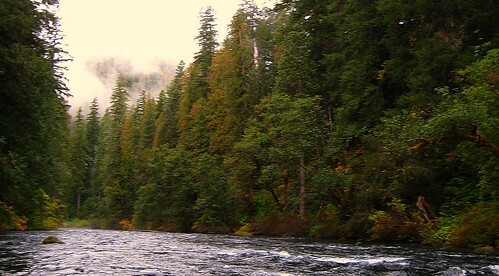 In addition to the McKenzie’s myriad trout fishing opportunities, the river also hosts a strong run of summer steelhead. 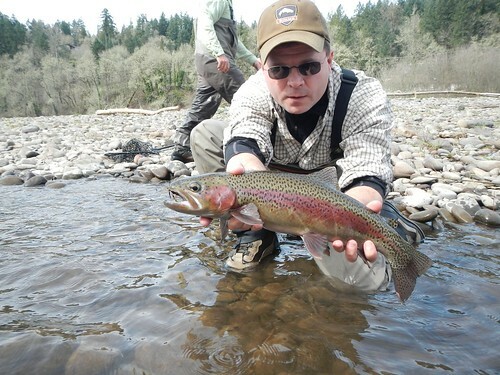 Unlike many steelhead streams, the McKenzie has a long season. The first fish will typically start to return in early April with more arriving well into the fall. Though the fish are present in the river throughout the season, the most productive time to flyfish for them is usually in September, October, and early November. 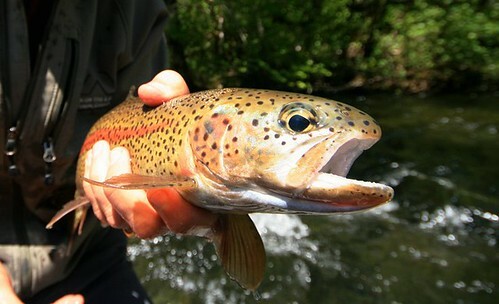 The fish generally respond better to swung fly techniques given the lower, cooler water, and the softer light angle this time of year. Various elements conspire to make the McKenzie a difficult river to wade. It is a big river that generally moves swiftly with deep runs and brushy banks. Also, the overwhelming majority of the property along the bank is privately held. 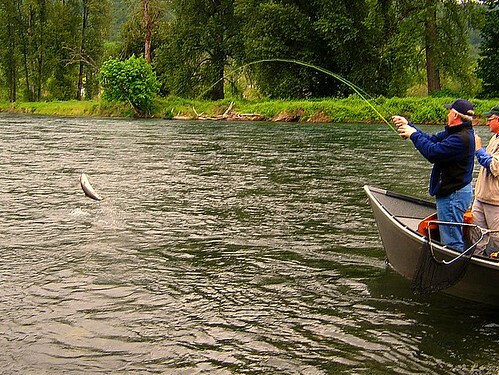 For these reasons, the McKenzie is best fished by boat. In this manner, we can efficiently cover lots of water, moving from spot to spot, focusing on the most likely areas. On the McKenzie, we can accomodate groups of almost any size; from a single angler to a large corporate group. Thanks for the good time on the upper McKenzie on June 30, 2010 with the Kent Srs. & JOhn Fiskum. I had a great time and will have to do it again in the near future. 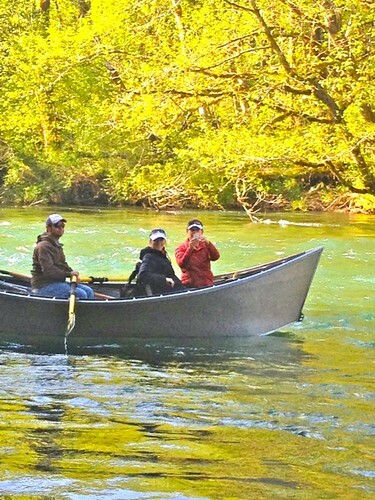 Ethan………….YOU ARE ONE OF THE PREMIER GUIDES IN THE STATE OF OREGON!! Just spent a day on the upper McKenzie with Ethan, what a great trip! Caught dozens of trout, some even volunteered for a tasty lunch, and had a steelhead on the 5 wt rod for over 10 minutes. Not bad for a novice fly fisherman. Also went thru some testy sections but no concerns with an expert on the oars. We plan to be back!